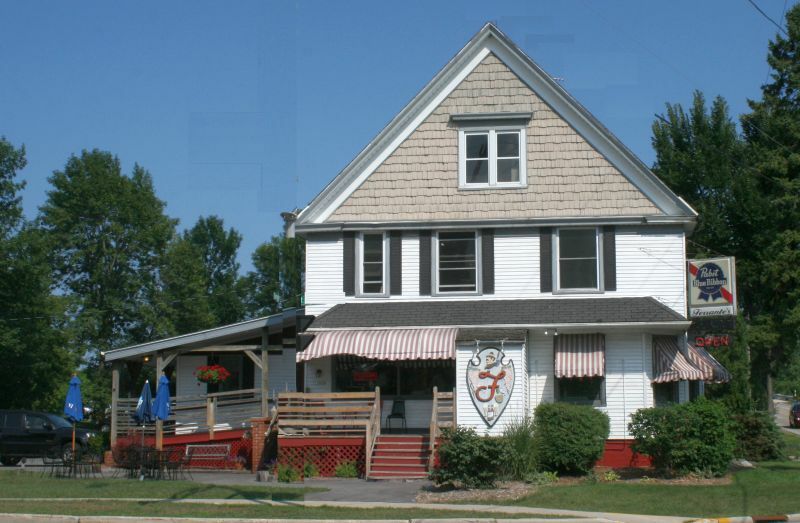 This casual, Italian family restaurant stands on the corner of Donges Bay Road and Port Washington Road in Mequon. On a Friday night, with the wife a bit under the weather, we decide on carry-out. Lucky thing. The lot was full and the place was hopping. One large pizza with onion, mushroom, and green pepper – and an order of cheese bread – were waiting upon arrival, 20 minutes after calling in. The thin-crusted pizza was crispy and delicious. Generous helpings of fresh mushrooms and diced green peppers provided wonderful flavor. It could have benefited from a bit more sauce, but considering how over-sauced, thin-crusted pizzas often go soggy, better to err on the side of crisp. Besides, the cheese bread came with a side of sauce, which was perfect for enhancing the pizza. The cheese bread was excellent – crunchy, round, fresh-baked, half-loaves the size of Tyson’s fist. Dipped in sauce, they’re practically a meal in themselves. On TMN’s 20-Star Scale: 16 stars!